The Outreach Foundation’s annual creative inter-generational project, Sounds Like You and Me, in partnership with Tswelopele Frail Care, premieres at the Constitution Hill Human Rights Festival on 23 March 2019. The project, now in its fourth production, see youth from Hillbrow’s Outreach Foundation and the elderly from Tswelopele Frail Care (also based in Hillbrow), explore music as a way to trigger sweet and bitter memories, and use true accounts of the sad, joyous, reflective, funny, and at times, obscure and random stories and memories, to create an exciting theatrical experience. The show’s director, Gcebile Dlamini, has again assembled a stellar creative team to bring the show to life: Carmen Ho for the dramaturge, Bigboy Hadebe for choreography, and acclaimed African Jazz Pioneer musician, Madoda Gxabeka, as well as Quinton Mamabolo, for music. Together, Gxabeka and Mambolo will bring the nostalgic sounds of Jazz and marimba to the production. 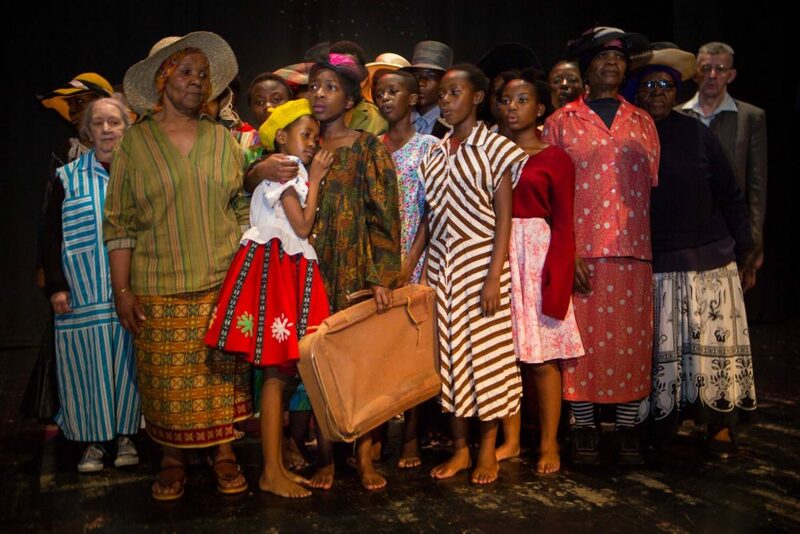 Over the last three years the inter-generational project has travelled from the Olive Tree Theatre in Alexandra, where it brought young and old to witness the production (for many of the elders, this was the first time they had ever been in a theatre), to PopArt in Maboneng, and to the Emakhaya Theatre at the University of the Witwatersrand (home to many Drama for Life Festivals). It has also travelled to Cape Town to the prestigious 19th ASSITEJ World Congress and International Theatre Festival for Children and Young People in 2017. For more information on the project, contact Outreach Foundation on 011 720 7011 or email hillbrowtheatre@outreachfoundation.co.za. ‘Sounds Like You and Me’ are looking for sponsors and support to extend the tour to the National Arts Festival this year. Contact Outreach Foundation if you would like to fund or support the project. The project has been made possible through the generous support of the Danish Agency for Culture. Outreach Foundation would also like to thank and acknowledge Henrik Haartman, Naghmeh Mahmoudi Kashani, and the C: NTACT team for inspiring this project. Spoil your significant other in the month of love at Premier Hotels and Resorts. With Valentine’s Day only a few day away, the popular hotel group has an array of romantic options available at various properties across the country. From intimate dinners in the city to romantic sunset game drives and overnight stays, Premier has you covered. Nothing says romance quite like a sunset game drive. Spend Valentine’s weekend on 16 & 17 February at Premier Resort Mpongo Private Game Reserve. Surrounded by elephants, zebras, and giraffes, the selection of private, river and bush lodges on offer are an ideal escape for amorous eco-tourists. Treat your loved one to a delightful overnight getaway at Premier Hotel East London ICC. The hotel is perfectly positioned for romantic evening strolls on the nearby Orient Pier, and offers its very own on-site spa where couples can enjoy pampering treatments together. Premier Hotel Regent is also in walking distance, couples can enjoy a delectable dinner with a proudly South African twist at The Grill Room restaurant. For an indulgent romantic outdoor experience, Premier Resort Sani Pass provides the ideal setting. Surrounded by the Drakensberg Mountains, the Resort is perfectly positioned for 4X4 excursions up the Sani Pass, horse rides up the mountain to Lesotho, paragliding, hiking and mountain biking. Plus, there are an array of activities to enjoy on-site with couples spa massages topping the list of must-do’s. Treat that special someone to an intimate breakaway in the city and enjoy a charming 5-course dining experience at Premier Hotel Midrand. The Grand Central Restaurant boasts a luxurious layout, relaxing atmosphere and tantalising menu. 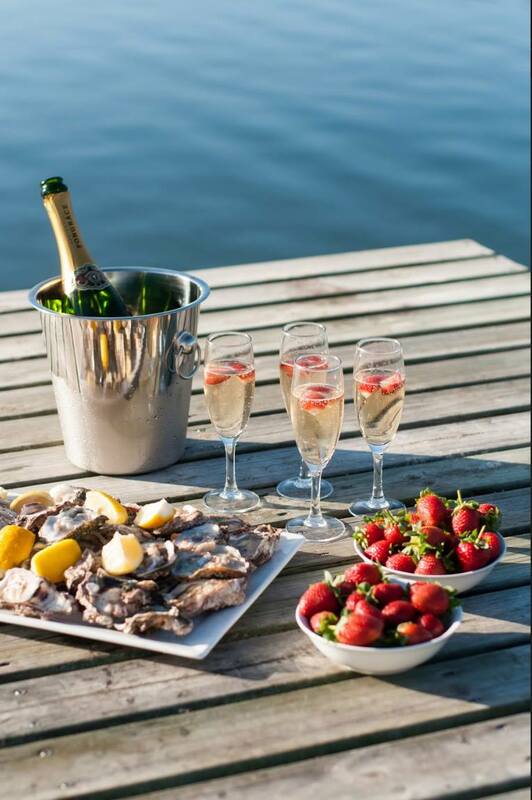 Spoil your loved one in the most memorable way with Premier Hotel and Resorts this Valentine’s day and weekend. Previous: Why we need KYC for ICO Process? Be picture perfect for the month of love! #CaptureYourLove just like Mhlengi & Siphumelele this February! 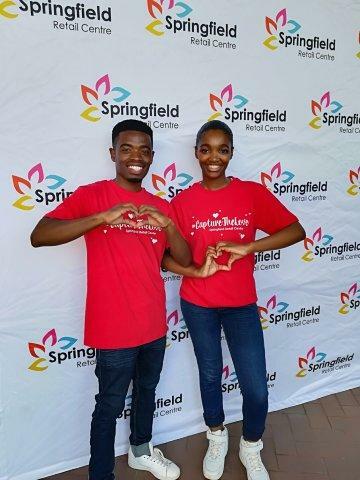 As it’s the month of love why not make some memories that will last a lifetime with #CaptureYourLove at Springfield Retail Centre on Saturday, February 16th, where the spirit of Valentine is still in the air. Between 10h00 and 14h00 you and your beloved have the opportunity to “get snapped” at our Instabooth, so meet us outside Toyzone, pose and have some fun with the many props to choose from. Bonus: you get to take home your very own complimentary photo strip. Wear your favourite red and white gear, and get your smile ready as you make your way down to Springfield Retail Centre to capture that perfect moment. T’s & C’s apply. While the world is recognizing and celebrating December as World AIDS month, South Africa is very much on board with many campaigns and activations taking place around the country, helping to acknowledge and support those living with HIV. The South African National AIDS Council (SANAC) has come to the party and took the initiative to host an amazing high level national dialogue on sport and its impact, role and opportunity for HIV prevention. Many youth and motivational speakers came together to share knowledge and encourage one another. 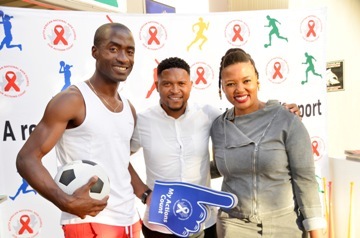 The event, held at Brackenfell, was an opportunity to focus on and harness the power of sport to reduce stigma and discrimination, increase education and empower young people to adopt healthy behaviours to prevent HIV in South Africa. SANAC recognizes that HIV incidence in youth, especially young women, is stubbornly high at around 1700 new infections per week. Research has found that knowledge of HIV amongst school learners is decreasing and we know that stigma and stereotypes persist amongst the youth. Now is the time to invest in what works. “Millions of sports fans take part or watch sport every week in South Africa. Sport stimulates passion and has the capacity to unite us. It is also a powerful force for change and information sharing on issues such as HIV and tuberculosis (TB)” said Dr. Nevilene Slingers, SANAC Executive Manager for Resource Mobilisation. In recent years an increasing array of projects have been leveraging the power of sport to promote inclusion, life skills, health, and educational messaging, to accelerate progress towards the sustainable development goals. Global development partners, including the Global Fund to Fight AIDS, Tuberculosis and Malaria attended the dialogue, acknowledging the potential of sport as an impact booster for wider development interventions, particularly with vulnerable youth. “A sports-based approach is a unique and innovative way to address adolescents’ evolving needs, engage them on their health, and support them to plan for their futures. We have evidence to show that sport works to increase knowledge, empower individuals, change attitudes, drive demand for health services, improve adherence, build self-esteem and build confidence amongst youth,” noted Western Cape MEC for Health Nomafrench Mbombo, who delivered the keynote address at the dialogue. Speakers at the dialogue also highlighted the importance of dealing with social and structural drivers of HIV, and challenged all South Africans to address gender inequalities and rethink gender stereotypes that contribute to the spread of HIV. Soccer player Thandani Ntshumayelo participated in the dialogue, raising awareness about substance abuse and sharing his story of turning his life around. “More than ever, sport can be a catalyst in our society to improve quality of life and human well-being and help us move closer to ending HIV and TB,” concluded SANAC’s Dr Nevilene Slingers. Previous: Festive Fun at East Point this season! 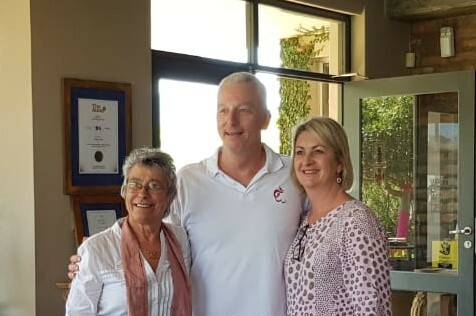 On Saturday 27 October, Creation Wines hosted a special Pink Tasting in honour and support of Breast Cancer Awareness Month – the full cost of the ticket was donated to the non-profit organization, Reach for Recovery, for their Ditto Project. Doctor Justus Apffelstaedt, a specialist Breast Cancer surgeon and former Head of the Head, Neck and Breast Cancer Unit at Tygerberg Hospital, was the guest speaker who spoke about the correlation between the downscaling of Breast Cancer therapy and preservation of quality of life. Doctor Apffelstaedt is an avid supporter of Reach for Recovery 2018 and has been supporting the initiative since March 2018 by offering talks at numerous corporate social functions and donating his full speaker fee to the cause. Launched in 2011, The Ditto Project has provided a total of 5,024 silicone prostheses costing more than R3,1 million to women who could not afford one. “Reach for Recovery and I share the same belief: that all women should have the same access to care, regardless of whether they can afford it,” says Dr Apffelstaedt. R4 300 was raised from the event and donated to Reach for Recovery.